So, confession: I am terrible at cleansing my face, and probably only do it 2-3 times per week...and that's a good week. It was my New Years Resolution to make an effort to wash my face properly, and not going to lie....it's not going so well. Truth be, I'm just really lazy. The whole two minutes I'd have to spend washing my face properly - obviously too much for this gal to handle. Don't get me wrong, I can't go to bed with makeup on. I remove it every night with Bioderma, but I know that's not enough and I really want to get into the habit of washing my face morning AND night. The thing, I've only really ever tried one cleanser, which is the Origins Zero Oil and I LOVE it, but I do feel like I'd like to branch out and try something new and different, and that's where I'm turning to you guys - I need your recommendation for a new cleanser! I don't think my skin is terribly picky - I would probably say I'm closest to oily/combination, and don't tend to suffer from many breakouts. There's so many cleansers on the market now days and it's so hard to pick just one, especially when I'm not looking for anything in particular! Recommendations are always the best and well appreciated, and I know there's a few new ones circling the blogs so I'd love to hear your opinions! Let me know in the comments below which cleanser is your favourite! I use ultrabland by lush, it's lovely! Ooh I hadn't even thought of Lush! I will definitely scoop that out when I'm in San Fran :) I love Lush...! Lush Angels on bare skin is lovely for a but of a scrubby cleanser but lately I've been using Antipodes Juliet brightening cleanser and loving it! Cleansing is one of my favourite steps in my routine, once you get into it you'll be hooked! What! You only cleanse your face 2-3 times a week?! Tsk tsk tsk. And you call yourself a beauty blogger! Haha, I joke, of course. I nearly had a heart attack when my friend told me she only washes her face when she washes her hair. And despite getting her into Liz Earle, my best friend still sleeps in her makeup. I don't even... how are these people even my friends? I have taught them nothing! I'll admit, sometimes I don't wash my face if I've had a makeup free day, but my skincare routine is so engrained into me now, I just love the feeling of a fresh, clean face so much! I have three cleansers on rotation to keep things exciting and one I'm really enjoying is the Nuxe Comforting Cleansing Milk with Rose Petals. I really want to try some more Origins products, but I'm waiting for others to run out, so I can justify buying more products! I KNOW. I'm so bad. I'm just so lazy, it's horrible. But I do not understand how girls can go to sleep with makeup on, at ALL. Like, maybe it's because I wear so much makeup that it just feels disgusting by the end of the day, but I don't ever remember going to bed with makeup on even as a teen. Plus, I sometimes have white sheets on my bed so that would be a DISASTER. But I do need to learn to take better care of my poor old skin, it'll thank me one day! I hope this helps! I find hot cloth cleansers the easiest to get into using as you just apply to dry skin, massage in, then rinse off with a flannel or face cloth. I love Origins products! 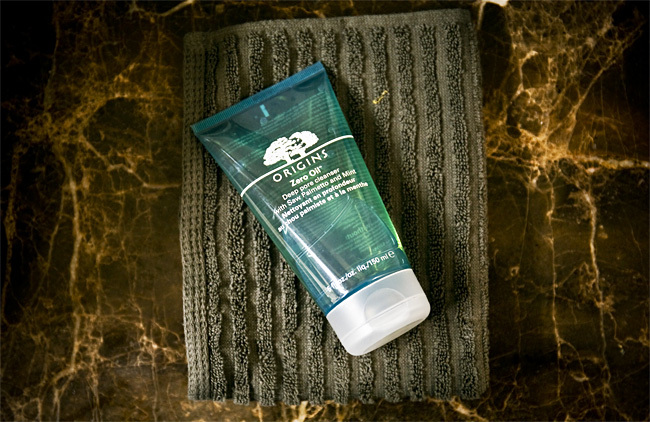 I usually use a Clarens cleanser, but I want to give this Origins one a go, since it looks lovely. 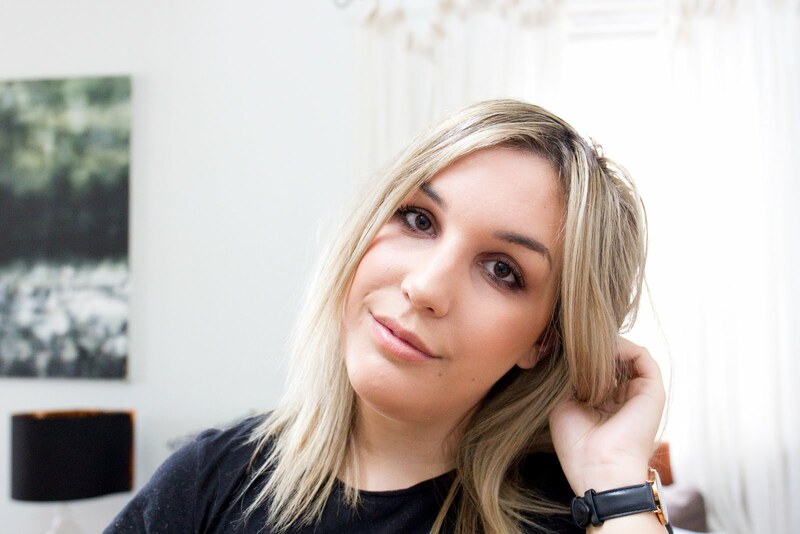 I'm also not the best with my skincare routine (like you, around 3 times per week, oops!) Hope you find a new cleanser! The cleanser I use is the Cerave Foaming Facial Cleanser. I have pretty dehydrated skin that gets very oily at times, and this stuff has been a miracle for my face! My face rarely gets oily now and to make it even better, it's a drugstore product! I love it. Happy to hear it's helped you out! I'll keep an eye out for it, thankyou! My favourite cleanser is the Liz Earle Cleanse & Polish but I also used to like the Antipodes Juliet Cleanser. I slept in my makeup every night for about 7 years but now I could never do that! Haha, the thought is so repulsive now, isn't it? I'm like...but my sheets are white. And the thought of waking up in the morning with that...feeling. You know the one. Clumpy eyelashes, hello.